The weather continues to be fine here and the dark skies of earlier in the week threatened rain but did not deliver. Today the sun shone and it seemed worth giving the river a whirl in the afternoon. I had hoped Norman, who introduced me to this stretch of the river, might be free to join me today but unfortunately he had other commitments. He did tell me, however, that yesterday he had a close encounter with a golden eagle which landed very close to his house. What an awesome thing to see! 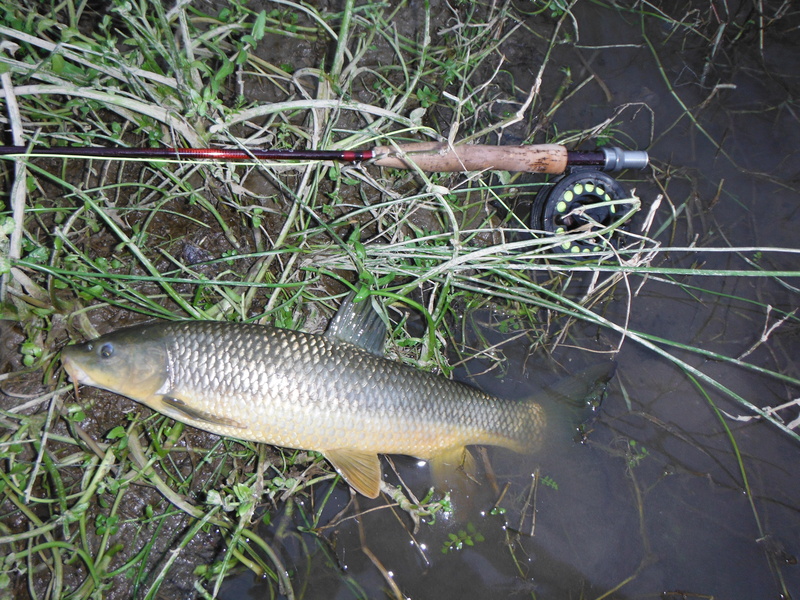 The barbel seem to be active in the river. They are less easy to spot than earlier in the year but they still occupy the fast seams and broken water and will take a nymph if you are lucky. 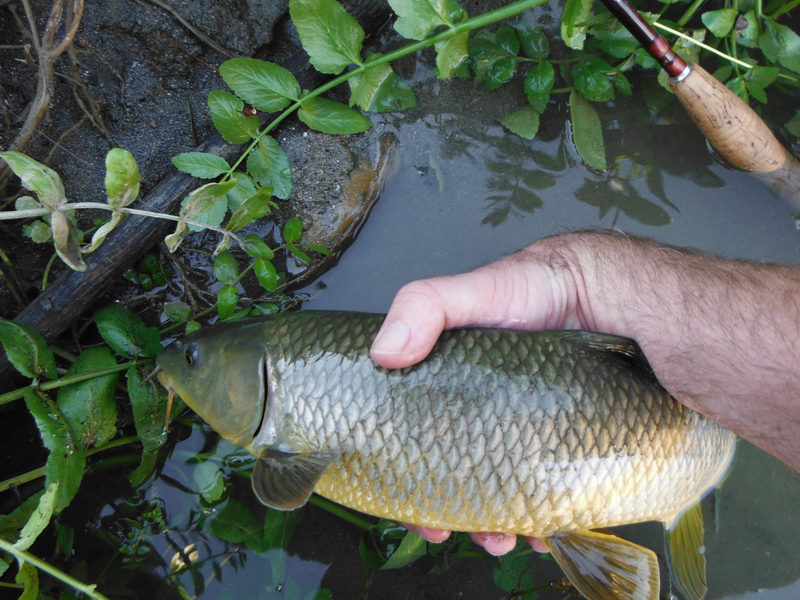 The carp put in an appearance too. They repeatedly refused the nymphs I offered but this is their party trick. I tried to coax them into taking the fly by telling them that I would immortalise them by posting their photos on my blog and that all I wanted in return was that they surrender their liberty temporarily. But the carp, being carp, would have none of it. I did actually manage to hook a carp in the end, quite a good one too, but it spat out the nymph after a minute or so which surprised me as I thought it was well hooked. Such is life! In the end I had to settle for a couple of gypsy barbel but they were fine strong fish. 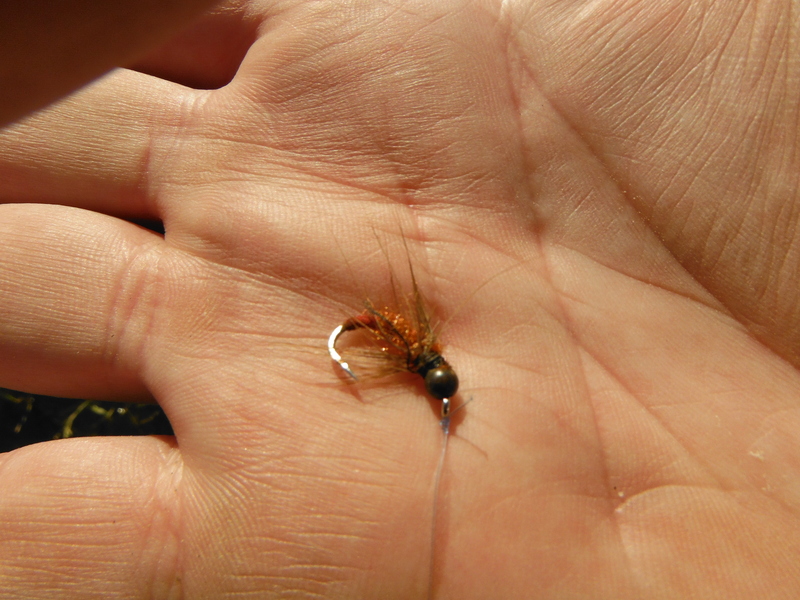 How lucky I am to be able to fish at this time of year when most fly fishermen have hung up their waders and are tying flies or just hanging around at home getting on their wives´ nerves. When I got home I found a message from my friend Harry Abbot who is off fishing in the tropics. He has made a couple of fine catches already and I will report on his adventures shortly.